The Excise and Taxation Department has announced a 10 percent reduction in token tax for cars. According to reports, car owners who will submit token tax before 31st July 2017 can avail this discounted offer. The Excise department has discontinued the system of paying the token taxes at the post offices. Now if a car owner wants to pay this tax, they have to go the nearest Excise and Taxation Department’s office. Due to the reduction in token tax, people are rushing to pay their dues in time. Earlier this year, the Excise and Taxation (E&T) Department revealed that it is planning to introduce a complete package of vehicle transfer, which includes Smart Card, Vehicle Registration Book, Universal Serial Number, and Number Plate. This new process is aimed at revolutionizing the method of transferring car ownership. So, instead of getting a registration book, a person would receive a smart card on his/her name on purchasing a car from someone. 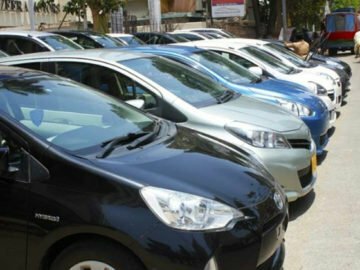 The Excise department is also working against terrorism by cooperating with Intelligence Agencies through sharing their the database of all the registered cars. The vehicle data would help the agencies to identify and access the bio data of a person by just entering the details of the number plate.